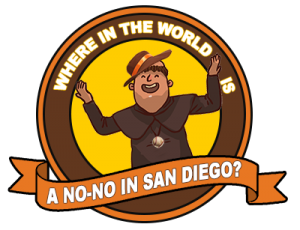 On June 1, 2012, when New York Mets pitcher Johan Santana threw the team’s first ever no-hitter after a 50+ season drought, the San Diego Padres took on the unique role as being the only Major League team with no no-hitter. For four-and-a-half seasons (2008-2012), NoNoHitters.com dutifully logged the climbing count of Mets games without a no-hitter, which finally ended at 8,019. We even watched two of baseball’s newer franchises – the Colorado Rockies and the Tampa Bay Rays – exit the club in 2010. 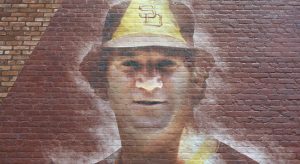 So that left the circa-1969 San Diego Padres as the sole member, and we decided to devote part of this website to the Friars in the hope that every team finally gets its due. A San Diego Padres pitcher has never hurled a no-hitter? That’s correct … well, a major league Padres pitcher has never hurled a no-hitter. Before the 1969 expansion the Padres were a minor league team in the Pacific Coast League, and the squad recorded three no-hitters. On May 7, 1959, when the Padres were an Indians AAA affiliate, Russ Heman no-hit the Vancouver Mounties en route to a 2-0 win. Al Worthington, a AAA White Sox affiliate pitcher, no-hit Hawaii 5-0 on Aug. 26, 1961, and Sammy Ellis got one against Tacoma when the Padres were a Reds affiliate on Aug. 14, 1962, 4-0. So even with great pitchers like Randy Jones, Jake Peavy and Clay Kirby, the MLB club couldn’t break through? None of them could do it, although Kirby came close … several times. And perhaps Kirby’s start on July 21, 1970 reveals the origin of The Curse. In that game, the New York Mets were beating the Padres 1-0 but Kirby still had a no-hitter going through eight innings. With two outs in the bottom of the eighth, San Diego skipper Preston Gomez decided to pull Kirby for a pinch hitter, Cito Gaston. Gaston struck out, reliever Jack Baldschun gave up a ninth-inning lead-off single to Bud Harrelson and the Mets rallied to pad their lead to 3-0, which would be the final score. Would Kirby have reached base and started a rally that would have given them a 2-1 lead and an eventual no-no win? Would Kirby have struck out, yet kept the no-hitter alive through the top of the ninth to set up a ninth-inning Padres walk-off victory? We’ll never know, and the club still has no no-no. So the Padres are cursed? I have no idea, but perhaps a blessing from The Swinging Friar could help break it. Not sure if there’s a Franciscan prayer for no-hitters, but the gesture certainly couldn’t hurt. And it’s a much better option than pulling a Pedro Cerrano to try to sacrifice a chicken – certainly not The San Diego Chicken. Or … maybe we could ask the San Diego Chicken to sacrifice a VHS copy of “Major League: Back to the Minors.” That would do future moviegoers a ton of good. I’m sure there were some no-hitters against the Padres, right? You are correct. Padres teams have watched 10 no-hitters during their near-half-century of existence. This group of pitchers includes a pair thrown by Tim Lincecum in 2013 and 2014, and one each by Dock Ellis (while tripping on LSD), Milt Pappas, Phil Niekro, a Braves group of three (Kent Mercker, Mark Wohlers and Alejandro Pena), a Dodgers group of four (Walker Buehler, Tony Cingrani, Yimi Garcia and Adam Liberatore), A.J. Burnett, Bud Smith and Jonathan Sanchez. 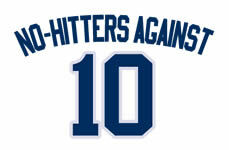 For more detail, visit our No-hitters thrown against the Padres page. I’m pretty sure the Padres had some one-hitters, right? Yes, 30 to date. Andrew Cashner, Randy Jones and Bruce Hurst had two each, Mat Latos and Andy Benes each had one complete game one-hitter and the others were combined one-hitters with assistance from the bullpen. Six of the Padres’ one-hitters were no-hitters until the eighth inning. 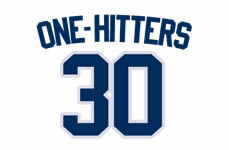 For more detail, visit our Padres one-hitters page. You may be forgetting the Padres’ two tie games on the books: A June 9, 1980, 6-6 tie with the Cincinnati Reds called in the top of the 11th due to rain and a Sept. 28, 1983, 4-4 tie with the Los Angeles Dodgers called in the top of the 14th because of rain. Back up a bit. Did you say that Dock Ellis no-hit the Padres while tripping on acid? Yes, and it’s apparently not an urban legend. He thought the Pirates had a day off and decided to drop a few tabs before realizing that Pittsburgh had a doubleheader and he was scheduled to pitch Game 1. The Dallas Observer, an alternative weekly, has a comprehensive retelling of the odd feat, quoting a then drug-free Ellis, who passed away in 2008. The win apparently wasn’t pretty, as Ellis walked eight and hit at least one batter. To hear the tale in Ellis’ own words set to an animated video, visit our No-hitters against the Padres page. Was the Mets’ no-hitter drought the longest in Major League Baseball history? No. The Mets streak lasted 50+ seasons, or 8,019 regular season games. The Philadelphia Phillies were void of a no-hitter for 58 years, 1 month, 18 days between 1906 and 1964. The 8,945-game-long streak (plus nine post-season games) began on May 3, 1906, one game after Phillies’ southpaw Johnny Lush threw a 6-0 no-hitter against the Brooklyn Superbas. It ended on June 21, 1964, when Jim Bunning threw a 6-0 perfect game against the Mets during a Father’s Day doubleheader at Shea. OK, so why launch a Web site devoted to this? To help break the curse. I understand the skepticism, but hear me out. I am a lifelong Mets fan, but my football team is the Tampa Bay Buccaneers. 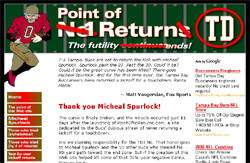 On Dec. 5, 2007, I launched the now defunct PointOfNoReturns.com, a site dedicated to the Bucs’ equally dubious streak of never returning a kickoff for a touchdown. Eleven days later, Michael Spurlock returned a kickoff for a touchdown, ending 31¾ years of futility. Coincidence? Who knows, but I thought a Mets no-hitters site was worth a try, so I launched NoNoHitters.com at the start of the 2008 season to break that curse. The effort finally paid off after four-and-a-half years, so let’s help the Padres exit this exclusive club. Probably. It’s no surprise that the Mets didn’t throw a no-hitter through most of the 1960s as they simply weren’t that good of a team. But with Nolan Ryan, Tom Seaver, Jerry Koosman and Jon Matlack on the roster, the Mets surely had enough talent from the late 1960s to the mid 1970s to get it done. Some trace the curse back to Dec. 10, 1971, when the Mets traded Ryan along with pitcher Don Rose, catcher Francisco Estrada and outfielder Leroy Stanton to the California Angels for infielder Jim Fregosi. Ryan went on to throw seven no-nos and the Mets remained without one until 2012. Any other Padres streaks of interest? From the Padres’ first game on April 8, 1969, until August 14, 2015 (7,443 regular-season games), the San Diego Padres had not had a single player able to hit for the cycle (a home run, triple, double and single in the same game). When Matt Kemp finally tackled that task midway through the 2015 season, it left the circa-1993 Miami Marlins as the only team without a cycle. 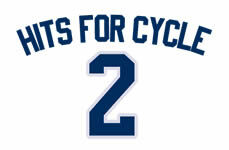 Wil Myers has since added a second cycle. Have the Padres accomplished any other rare feats? Despite the drought of no-nos and just two cycles, the San Diego Padres have turned eight triple plays over the team’s history. 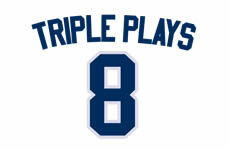 (See details on our Padres triple plays page.) Statistically, triple plays are more than twice as easy to obtain as no-hitters or hits for the cycle, which are truly baseball’s rare feats. The Padres accomplished another of baseball’s rare feats on Wednesday, June 12, 2002, when Brian Lawrence tossed the Friars’ first immaculate inning — an inning in which a pitcher retires three consecutive batters, each with just three pitches. In the third inning of a game at Oriole Park at Camden Yards, Lawrence struck out Brock Fordyce, Jerry Hairston and Melvin Mora on a total of nine pitches to notch just the 53rd Immaculate Inning in major-league history. Great site! I’m a Pads fan and would love to see them break this streak. Perhaps a move back to their classic brown & yellow unis would help. Oh yeah, a World Series title would be nice too! Yes. Their current uniforms look bland, uninteresting, uninspired. A return to the brown and yellow would be awesome. It WILL happen someday. Keep the faith, Friar fans! regular season games, and 34 post-season games, without a no-hitter. 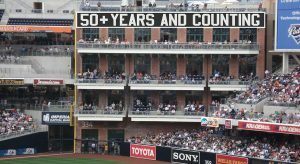 The streak began 50 years, 0 months, 12 days ago, when the Padres played their first game. regular season games before the Mets' Johan Santana no-hit the St. Louis Cardinals on June 1, 2012.